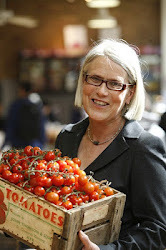 I wanted to take a little time to share a little about a few of the events at the Ballymaloe Literary Festival of Food and Wine, which is coming up fast. I can hardly believe, after so many months of planning that it’s just three weeks away! Saturday morning kicks off with the hottest trends in the past year, or should I say, the coolest: the Nordic Food Revolution. In our main space, The Grain Store, we’re delighted to be hosting Claus Meyer, co-founder of the world’s number one restaurant, Noma, and Ben Reade, one of our former students, now Head of Culinary Research and Development at the Nordic Food Lab. Hosted by John McKenna of the Bridgestone Guides, this promises to be a fascinating insight into new ingredients and styles. I had a wonderful trip to Copenhagen last year. I am so excited about their innovative use of foraged ingredients, many of which are totally new to our palates. Meanwhile Camilla Plum, owner of Denmark’s first organic restaurant, will be running cookery demo at the Cookery School Garden Café. Camilla has written many acclaimed books on cooking, gardening and organic living and she will be weaving her magic with herbs from our own organic gardens to create delicious dishes. 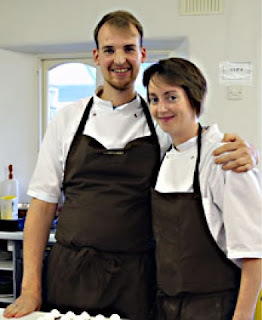 You may remember a few months back we had a Noma pop-up restaurant at the Cookery School. Well if you’re kicking yourself that you missed it, your luck’s in, because on the Sunday evening Yannick and Louise, former Noma chefs are back, for one-night only - what a treat we're in for! On Sunday Sandor Katz, master of fermentation, another current hot-topic in the world of food, shares his lifetime’s knowledge in a practical demonstration in the Garden Café in the morning, followed by a discussion with Ben Reade in the afternoon. And if you were wondering about the latest trends in wine, then Irish wine writer Mary Dowey and Pascal Rossignol, wine merchant, will be discussing them, with a specific focus on natural wines. There's so much to look forward to at LitFest! And I'll be sharing more next time!